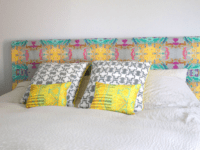 Can a bedroom go without a headboard? 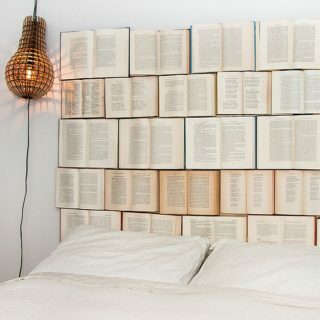 Sure, but there is no denying that headboards have a great impact on the interior! 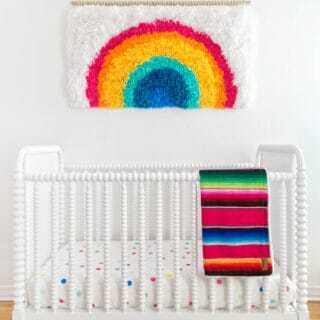 They give the bedroom a strong sense of elegance and order, making the bed a centerpiece of the room. 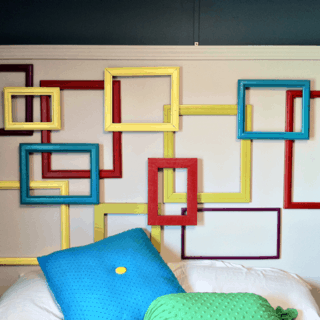 There are as many headboard styles as there are homes, but we’ve picked some of our favorite DIY colorful headboards for homeowners who swear by colors and uplifting decor! 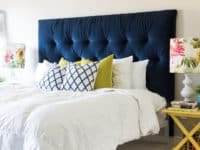 A dark blue headboard is perfect for those who wish to bring some color into their bedroom but want to avoid defining it with something too vibrant. 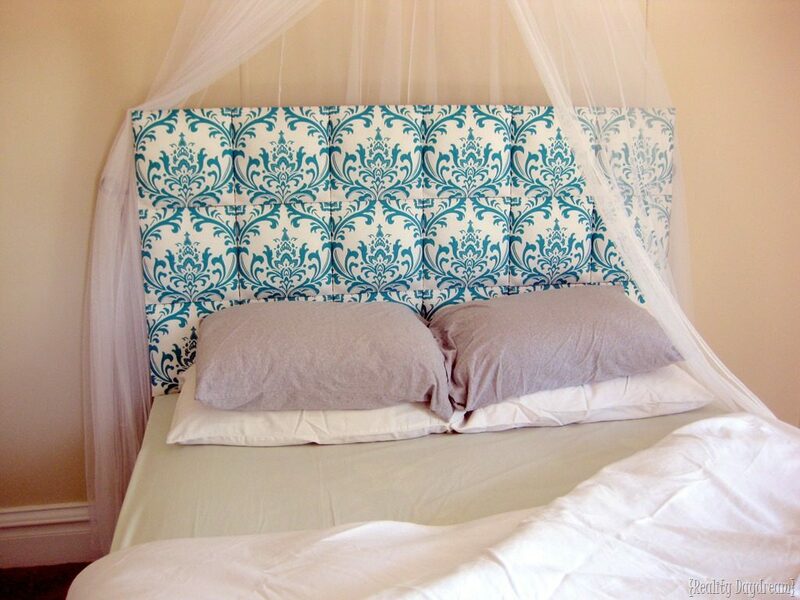 The navy headboard is ideal for the job and really makes the room what it is! 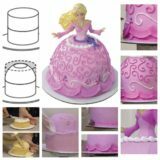 Find the how-to at Place of my Taste! 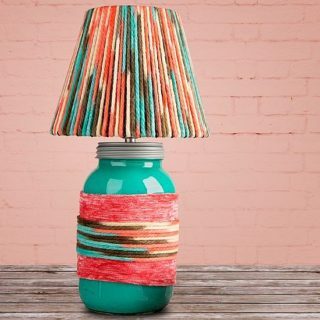 Do you love art pieces and often find yourself in awe of not just modern art, but modern home decor as well? 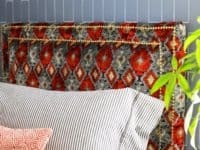 A Kailo Chic Life has come up with a headboard concept that will blow your mind! 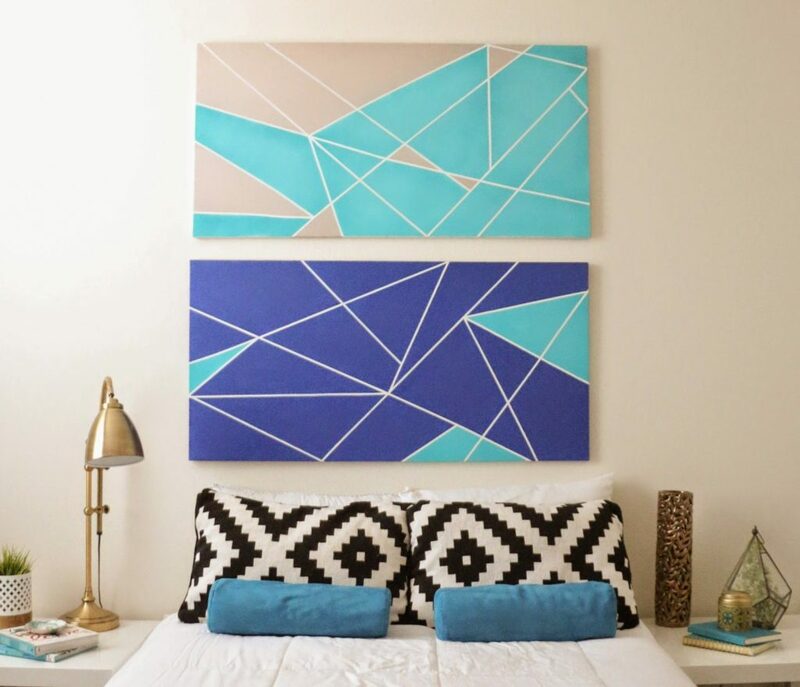 It’s a canvas posing as a headboard, decorated in dynamic geometric shapes! 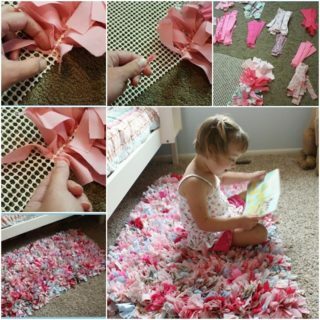 Fabric is a really simple material to work with! 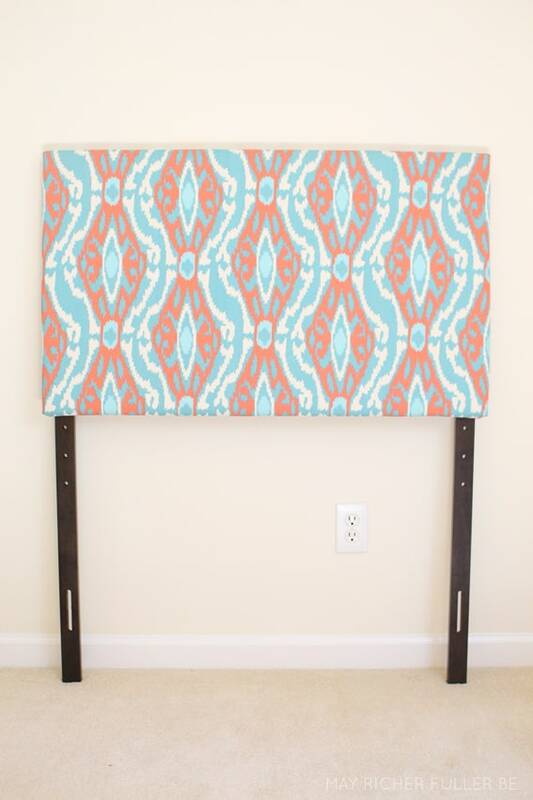 You can pick how you headboard is going to look like right there in the store and once you come home all you have to do is set it up and use up all the fabric. 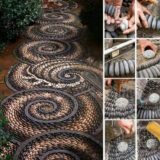 Kindle Your Creativity will guide you through the process! 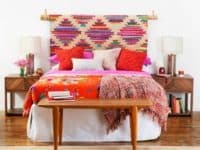 If you deeply connect to tribal interior, bring it into the bedroom as well! 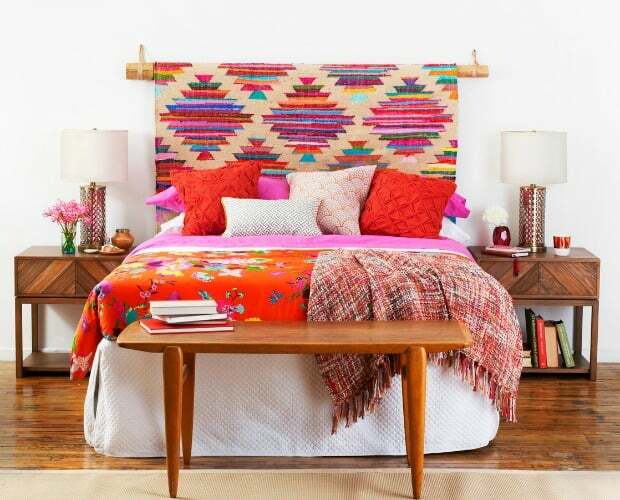 The best way to do so is by creating a charming tribal headboard that is full of colors and holds immense power over the room! 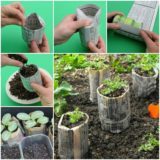 Visit Good Housekeeping if you want to find out more! The vibrant hues of turquoise, pink and gold create a very charming color palette that definitely reminds of oriental decor. 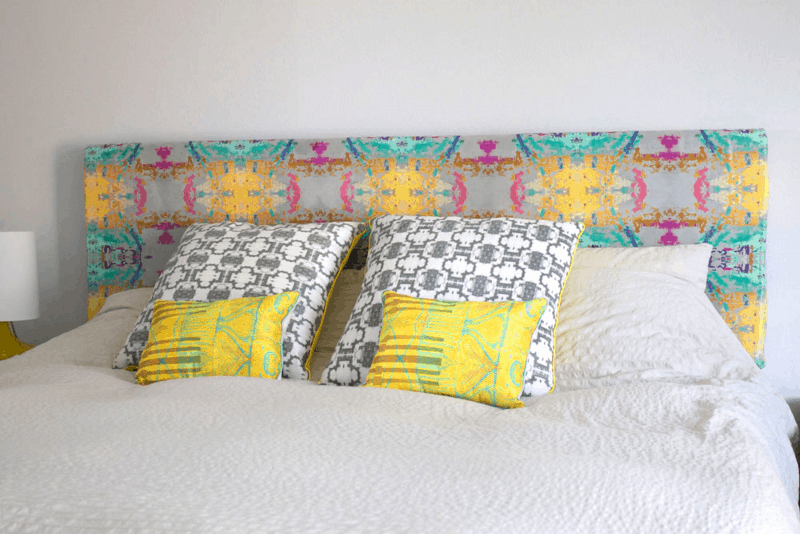 If your bedroom needs a cheerful element that will stand out and be the focal point of the space, Spoonflower has the headboard of your dreams! 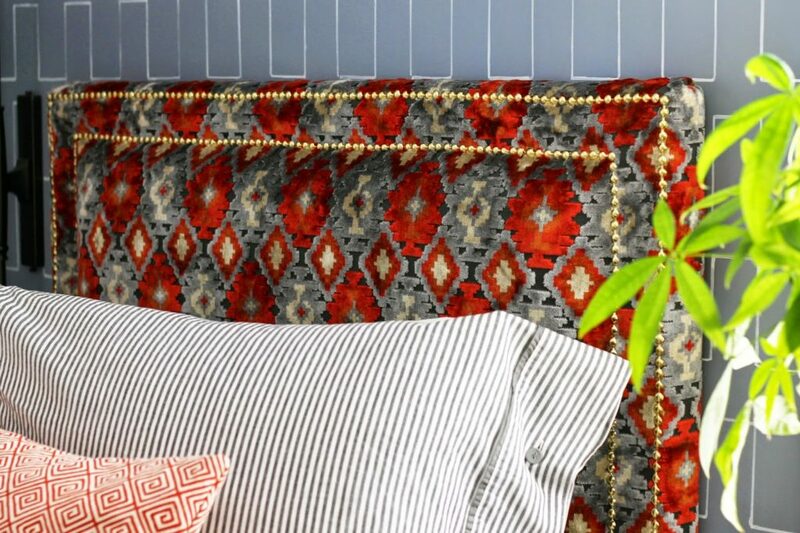 This headboard feels almost regal, with its red and gray color palette that represents order and nobility. 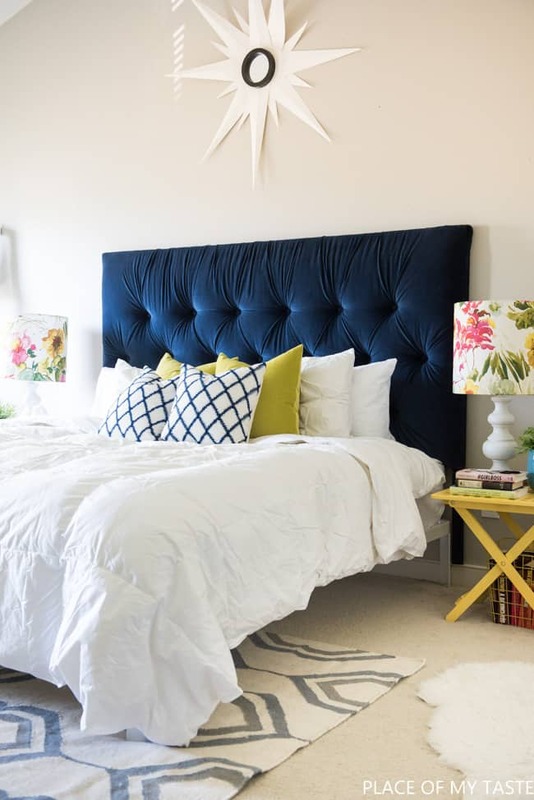 The golden nailhead trim contributes to the dignified look and you should pay a visit to Gorgeous Shiny Things if you want to sleep like royalty! 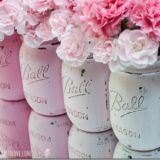 If we’re talking about colors we have to talk about vintage decor! 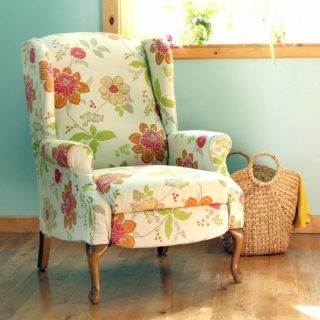 Somehow people of previous eras have really gotten it right with their softly colored furniture that always managed to look cheerful! 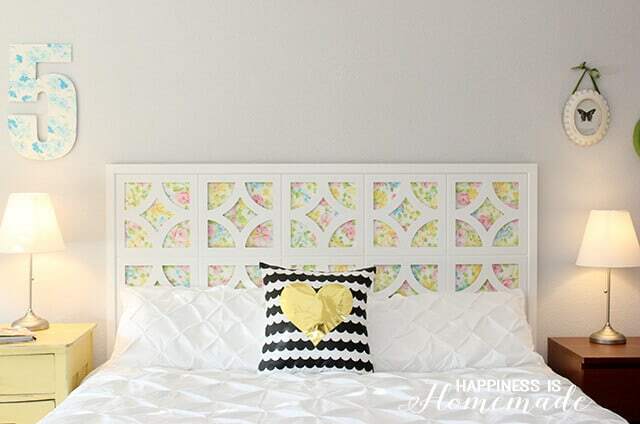 Check out the instructions for this vintage floral headboard at Happiness is Homemade! 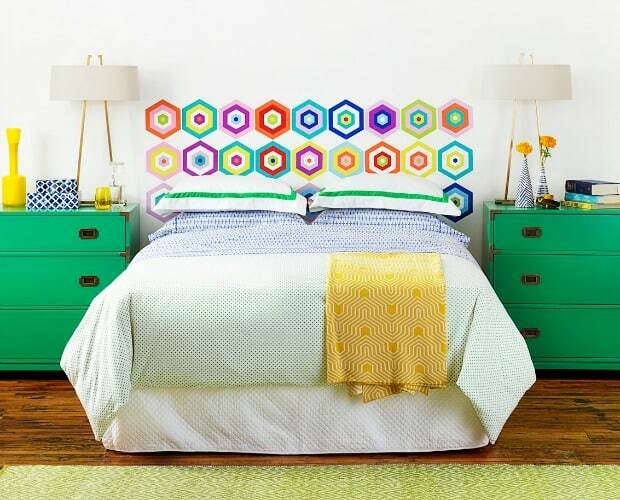 A simple but very effective way to bring colors into your bedroom is definitely by making a colorful decal headboard! 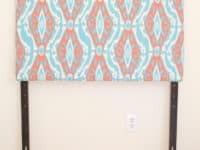 You have all the freedom to pick the patterns and colors you wish, as they will set the tone for the whole room! 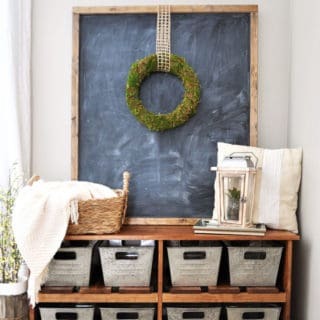 Good Housekeeping has more details! 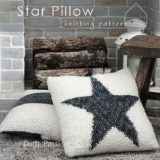 An old-fashioned bedroom has a certain appeal that homeowners keep trying to capture within their own sleeping quarters. 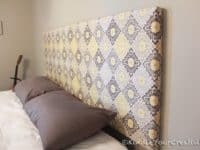 Opting for a headboard with an old-fashioned look is a sure-fire way to channel that classic vintage style! 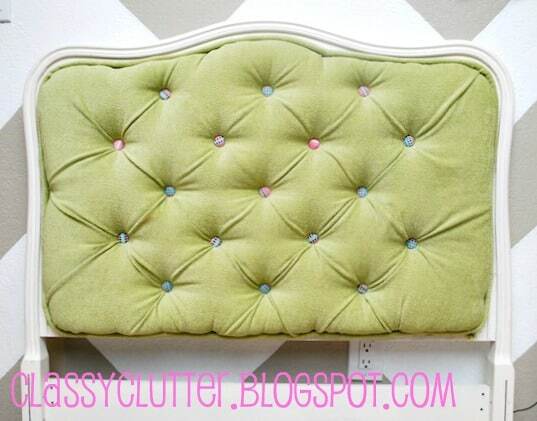 Classy Clutter has the instructions for the most beautiful soft green headboard! 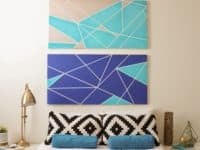 Maybe you love colors and can definitely envision them in your bedroom, but you’re a bit hesitant when it comes to their vibrancy. 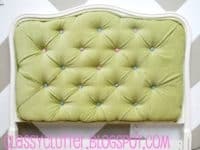 Pastel hues are a marvelous choice for anyone who wishes for a colorful headboard but doesn’t want to overdo it! 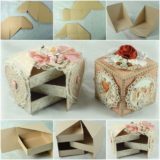 Get the necessary details at May Richer Fuller Be! 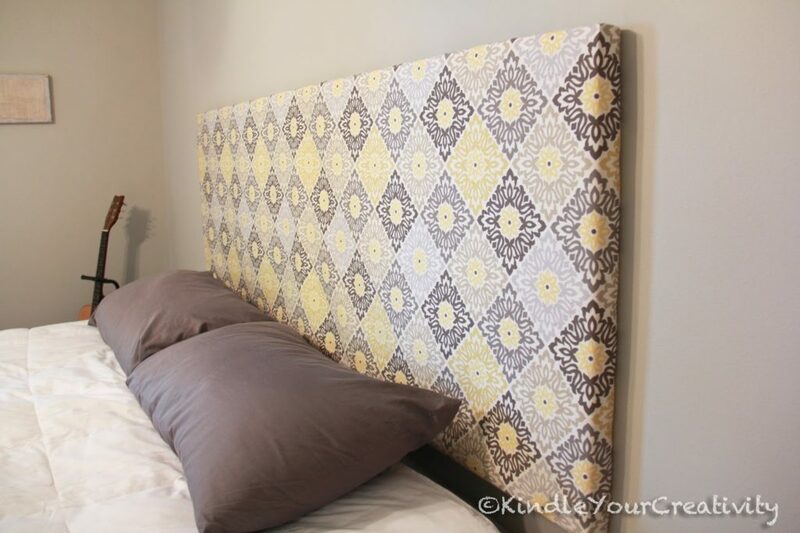 A breathtakingly beautiful headboard by Reality Daydream is a total centerpiece in a bedroom full of neutral shades. 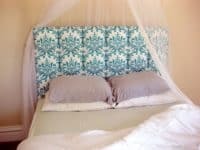 The turquoise pattern against the white backdrop is noticeable and mesmerizing, giving the bedroom just the energetic piece it needs! 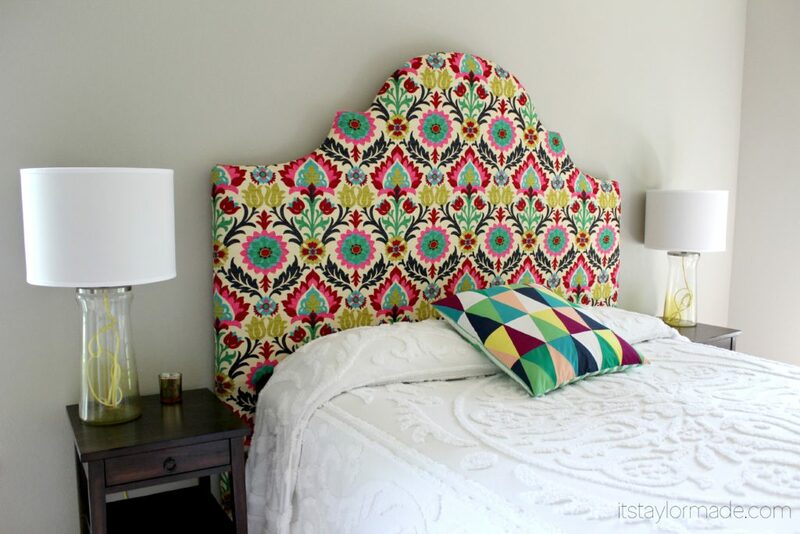 The floral headboard we found at Taylor Made is unique in its pattern and choice of colors. 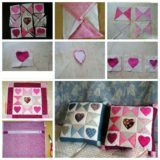 It dominates the room and demands to be adored! 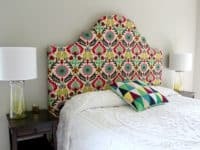 The other elements in the room almost fade away against it, as the headboard stands out with the bright colors and innovative floral pattern!